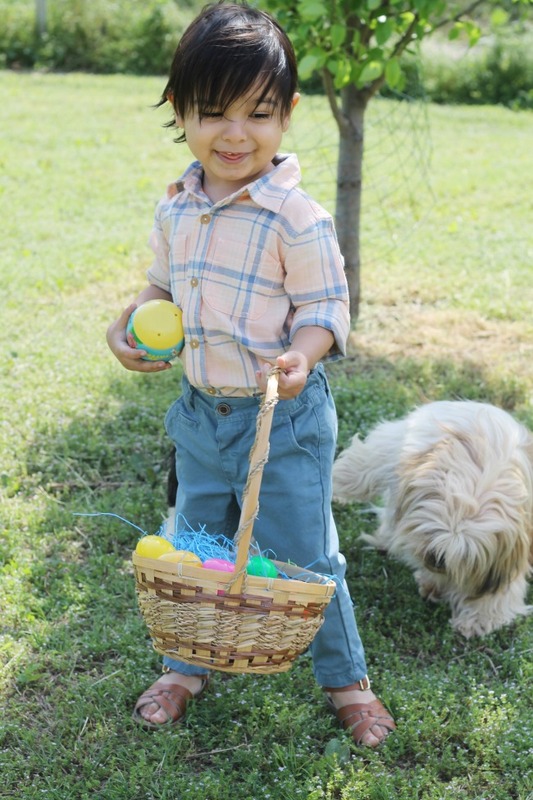 Our Easter weekend was so much fun! We had beautiful weather all weekend until Sunday. Sunday was rainy and cold. Friday and Saturday we spent most of the day with my immediate family. 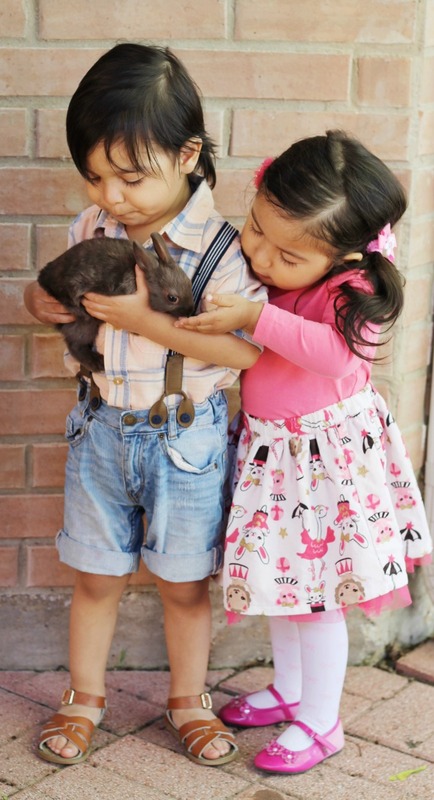 The kids were all together and Evan's older cousin Rachel brought her bunny for the weekend. I just knew Evan would be afraid to hold it, but boy was I wrong. He absolutely loved her. He was so gentle and nice to her. He cried if he couldn't hold her. It was just the cutest thing. 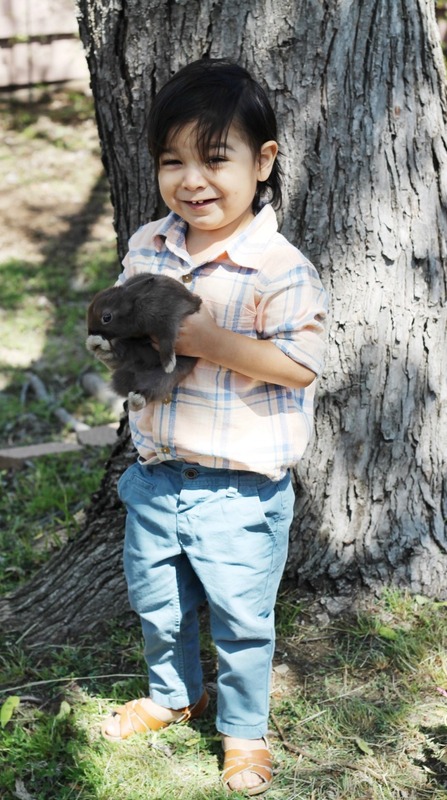 We took way too many pictures this weekend and Evan was all for it as long as he got to hold the bunny. 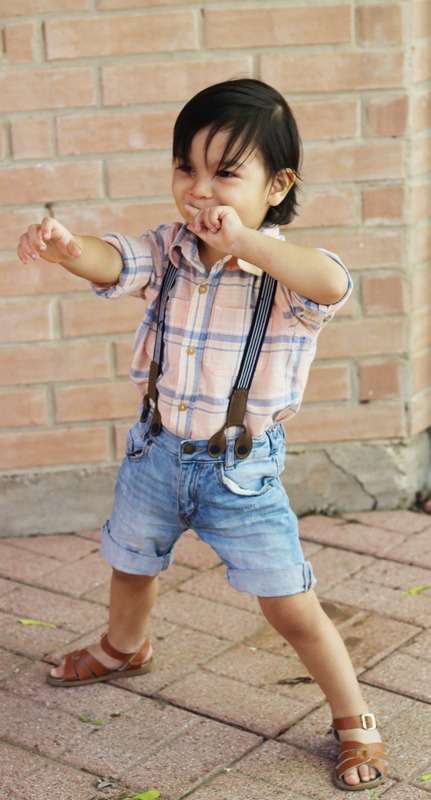 Be prepared for a picture/cuteness overload. 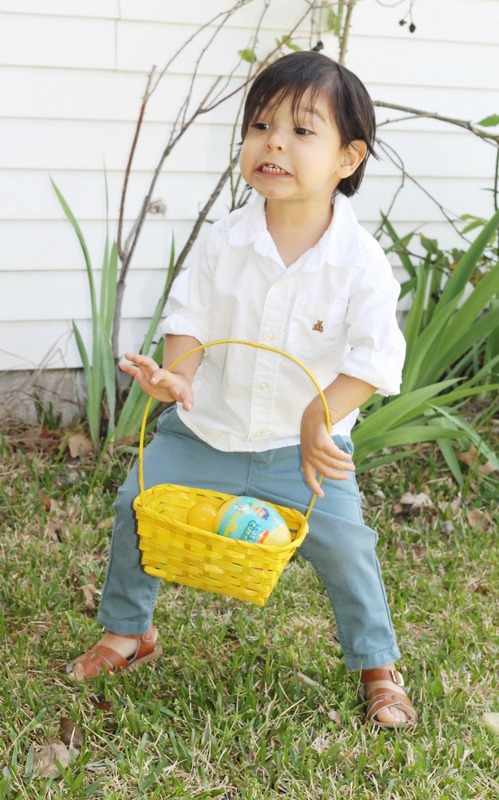 Last year Evan was a little confused during the egg hunt because he was only one. This year was a different story. 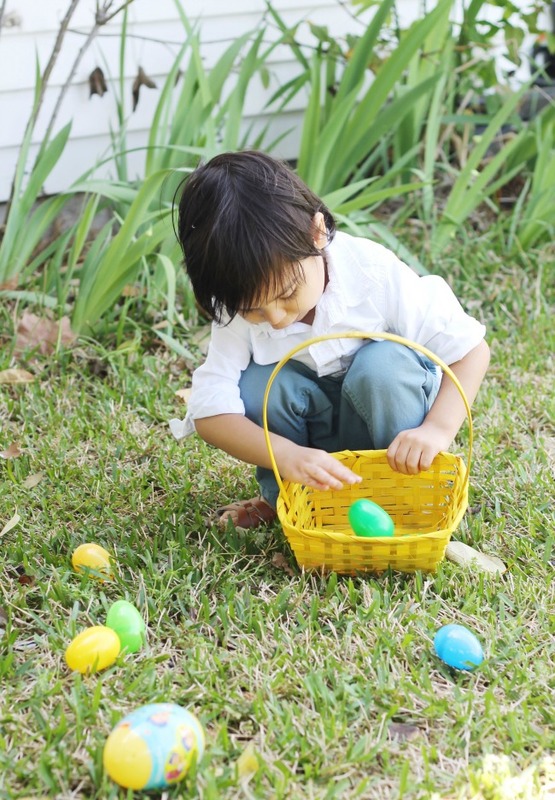 He was on a mission to find as many surprise eggs as possible. By the way Evan calls all the eggs surprise eggs because he's been watching way too many videos on YouTube. The night before Easter we read Evan The Story of Easter. I will always want him to know the true meaning behind this beautiful holiday. I know he doesn't fully understand now, but as he gets older I am positive he will learn to understand and love this holiday even more. The weather was not ideal Sunday but we still had so much fun. We dyed eggs and wore casual attire because of the weather. Evan rode a four wheeler with his dad for the first time and totally loved it but refused to get back on. He played so much with all of his cousins and ate a lot of candy. He loved his basket and immediately requested to open his TMNT surprise egg. Spending time with family was great. Not having my mom around is extremely hard but being around aunts and uncles makes things a little easier.